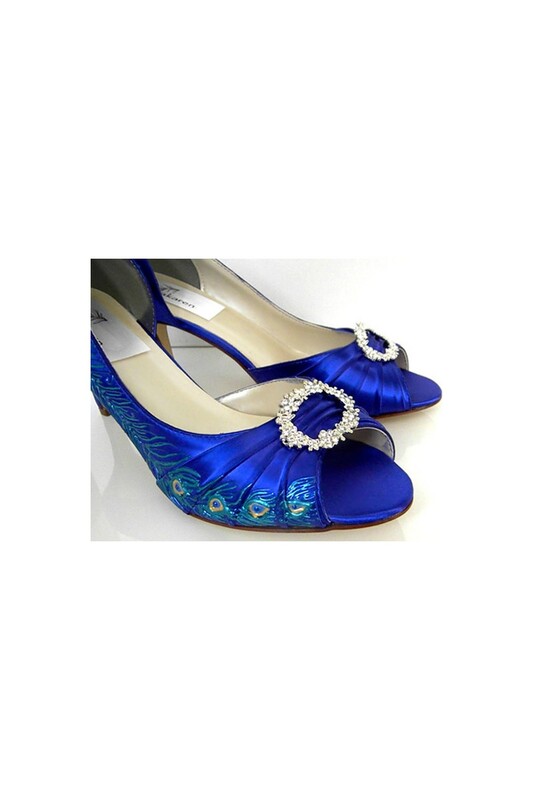 Vintage style bridal shoes in sapphire, Model "Milcah"
By buying this product you can collect up to 19 loyalty points. 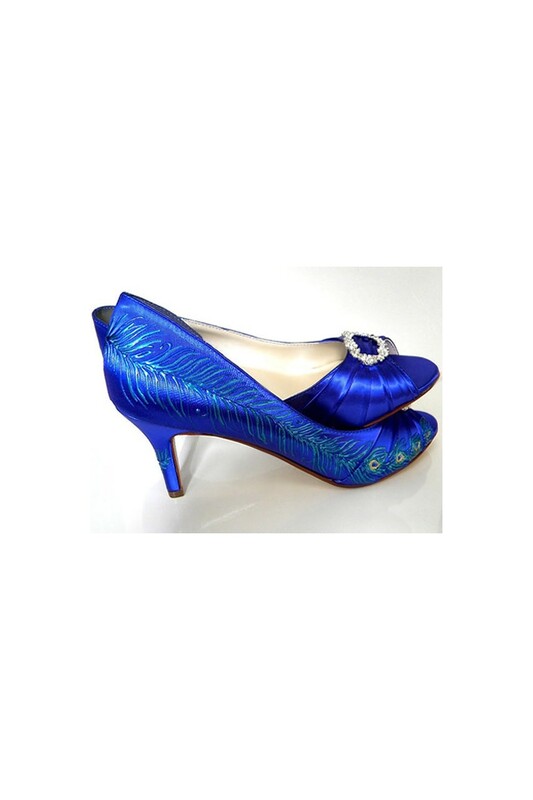 Your cart will total 19 loyalty points that can be converted into a voucher of $4.75. 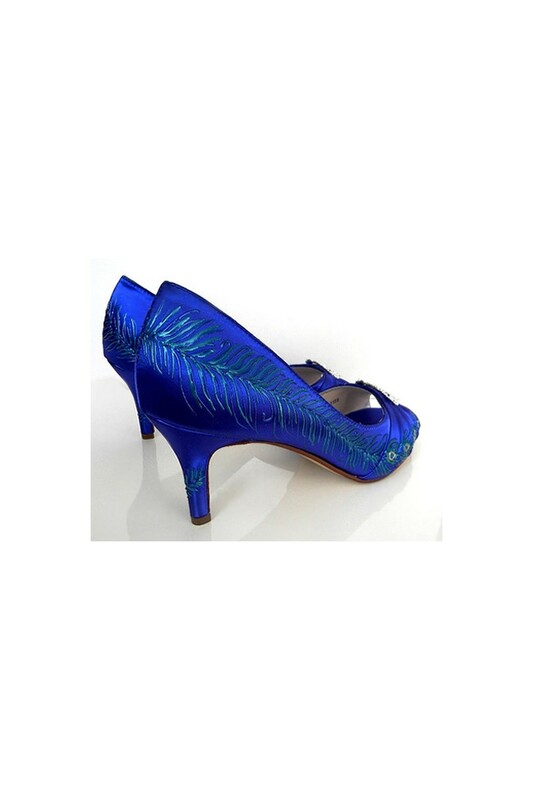 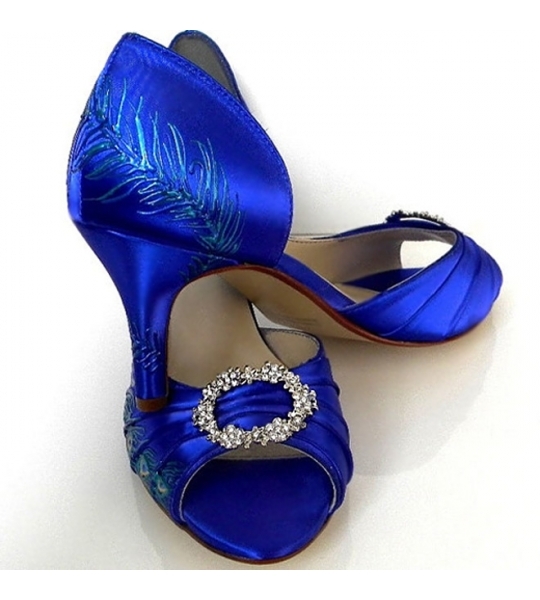 Vintage style bridal shoes in sapphire show off your feet in style. 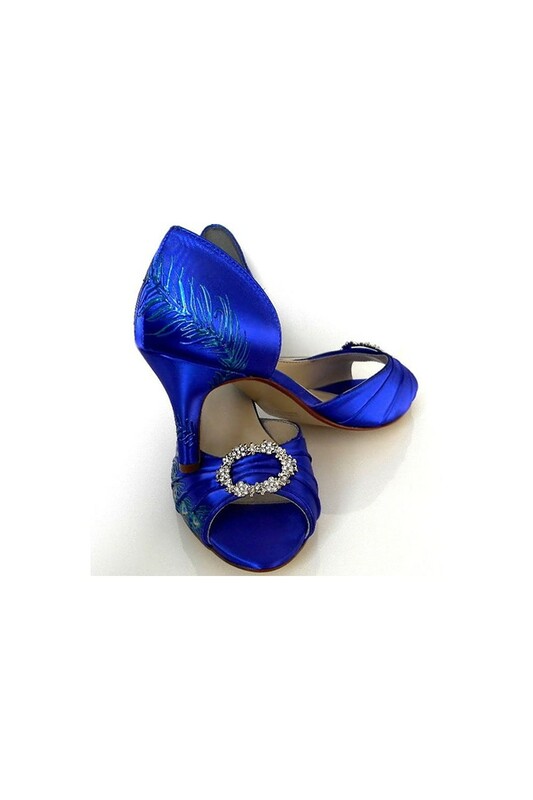 These shoes boast high heels and open toes with scrunched tops set off by sparkling faux buckles. 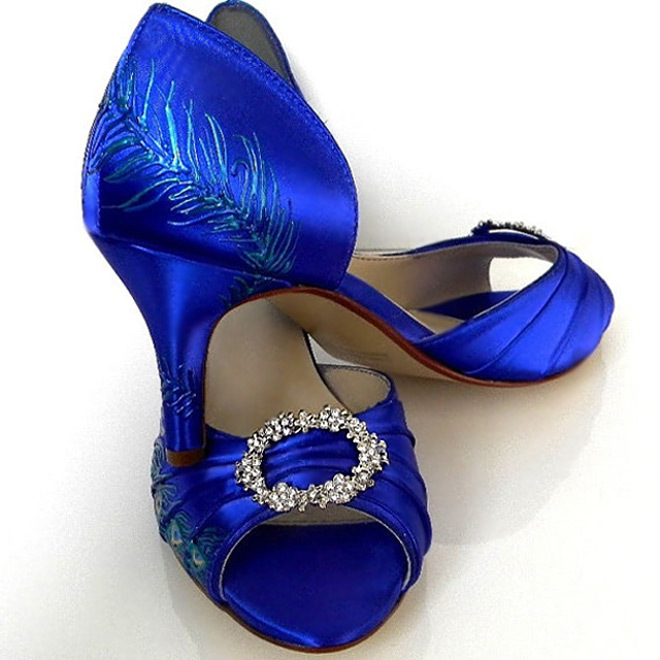 With their peacock feather decorations all around, the Milcah shows the 1920's are really back with a bang.